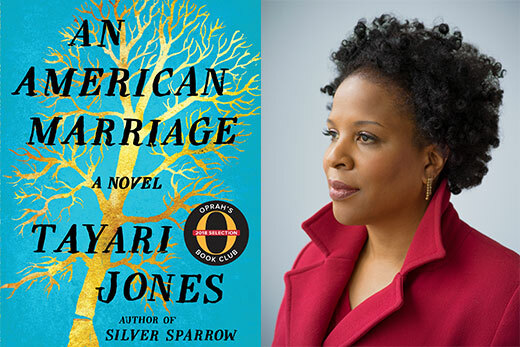 Acclaimed novelist and new Emory professor Tayari Jones, author of the New York Times best-seller “An American Marriage,” offers a free, public reading on Tuesday, Feb. 19, at 6:30 p.m. in Cox Hall Ballroom. With the spring semester in full swing, more than 30 literary, music, visual arts, dance, and film events are on the Emory calendar this month. Here are some of the highlights of February events. View the full Emory Arts Calendar. The Department of Film and Media Studies continues its spring Film Cinematheque Series, “Glorious Color!,” Wednesdays at 7:30 p.m. in 208 White Hall with “A Matter of Life and Death,” “An American in Paris,” “All That Heaven Allows,” and a special screening of a Rare IB Technicolor Print. February begins with Emory Jazz Fest. Vanessa Rubin, jazz vocalist, joins the Gary Motley Trio on Friday, Feb. 8, at 8 p.m. On Saturday, Feb. 9, at 8 p.m. the Emory Big Band showcases the best in jazz repertoire for Big Band Night. The Czech National Symphony Orchestra performs an evening of Czech music accompanied by mezzo-soprano Isabel Leonard on Friday, Feb. 15, at 8 p.m. This event is part of the 2018-2019 Candler Concert Series. The Emory Chamber Music Society of Atlanta brings two events to Emory this month. On Saturday, Feb. 16, at 8 p.m., ECMSA: Jazz Meets Classics – Impressions and Reflections explores the relationships among the music of Debussy, Ravel and original jazz. Then, violinist Kate Ransom and pianist William Ransom bring their sibling duo talents to the stage on Friday, Feb. 22, at noon in ECMSA: Ransom Notes. All events mentioned take place in the Emerson Concert Hall. With “Duets, Duets, Duets!” Catellier Dance Projects! brings coupledom to Emory, using the duet to reveal intimate portraits of relationships through dance on Friday and Saturday, Feb. 1 and 2, at 7:30 p.m. The romantic art of the duet returns later in February with “another piece apart.” This duet between dancers Jennifer Nugent and Paul Matteson rests in silence and reflects on a history of fractured togetherness and a shared love to blur boundaries between bodies in space. Performances occur on Saturday, Feb. 23, at 7:30 p.m. and Sunday, Feb. 24, at 2 p.m.
All dance events take place in the Dance Studio of the Schwartz Center for Performing Arts. New Creative Writing faculty member Tayari Jones reads from her celebrated work with a reception and book signing to follow on Tuesday, Feb. 19. at 6:30 p.m. in the Cox Hall Ballroom. Richard Blanco, who gained recognition after reading his poem “One Today” at the second inauguration of President Barack Obama in 2013, will present his work on Saturday, Feb. 23, at 4 p.m. at Schwartz Center for the Performing Arts. AntiquiTEA features free afternoons of tea, scones and history. On Tuesday, Feb. 12, at 4 p.m., Curator of African Art Amanda Hellman discusses Egungun, one of the most dynamic masquerades performed by the Yoruba of southwest Nigeria. A series of print making events with visiting artist Tom Hück round out February activities at the Carlos Museum. Tom Hück: Meet the Artist offers an opportunity to talk, drink, and snack with Hück at People’s Barbecue on Saturday, Feb. 16, at 7 p.m. Emory students are invited to participate in a collaborative print making project – carving a wooden block from one of Hück’s drawings and handprinting the image on Tuesday, Feb. 19, at 1 p.m. in the Michael C. Carlos Museum. Wrap up February with the latest installment of the JWJI Public Dialogues in Race and Difference Series for a Black Masculinities Panel Discussion. This event takes place in the Michael C. Carlos Museum, and the “DO or DIE: Affect, Ritual, Resistance” exhibition by artist Fahamu Pecou will be open for viewing until the panel discussion begins at 6 p.m.